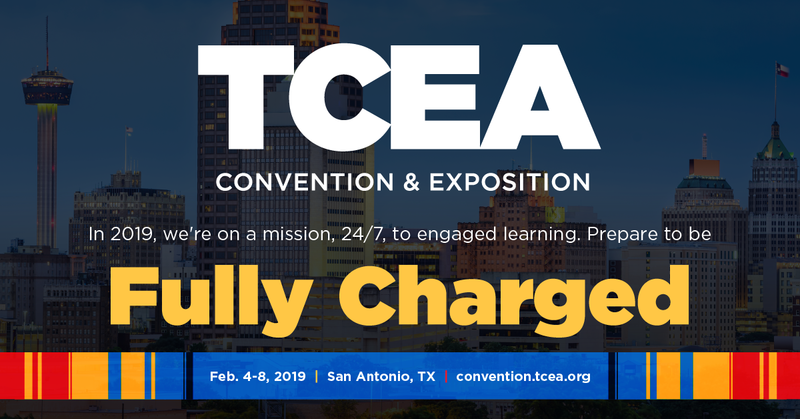 The 2019 TCEA Convention & Exposition runs February 4 -8, 2019, where thousands of educators, campus and district-level administrators, curriculum and technology leaders, teachers, librarians, and champions of ed tech will discover innovative strategies and best practices for integrating technology into their schools, classrooms, and libraries. TCEA’s 39th annual convention will showcase 1,000+ informative sessions and hands-on workshops, access to the latest ed tech resources from hundreds of exhibitors, and countless opportunities for networking. Prepare to leave fully charged for success. Visit OverDrive Education at booth #1239 for a chance to win a Samsung Chromebook and to sign-up for a free 60-day trial of Sora: the student reading app. Educators gain access to more than 100 titles and test drive the Sora reading experience. Easy access and careful title selection are key to a digital library’s success. Join Robbie Thompson and Kyle Ivery from Central ISD (Pollok, TX), who will share how they keep their collection growing and promote it to their school community. Learn how to study sales to get popular titles at a bargain and how to engage students and parents to use 1:1 and BYOD devices all year long. Elizabeth Rush, Library Specialist at Northside ISD (San Antonio, TX) has seen classes of elementary school students using Sora like pros after only a month. Join us to learn how Sora helps students access ebooks, build vocabulary and take notes within the books. Administrators will learn how OverDrive Education helps stretch budget dollars with shared resources across an entire district. Educators will learn how to leverage help with collection development and use Project Gutenberg titles on the platform. Join Jeri Rossi, Library Media Specialist, Deer Park High School (Deer Park, TX), who will share the experience of Deer Park High School from launch to district approval to promotion. Rossi will detail how they decided on OverDrive, how they engaged stakeholders in the district to secure funding and how they use promotional materials to market the digital library to Deer Park students and staff. 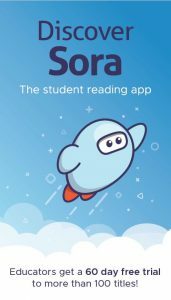 Sora is a new student-centric reading app for schools. Student enjoy easy onboarding, a simple, one-tap step to borrow and start reading, and automatic syncing across devices. Access more titles with connection to your public library’s collection. Sora also offers personalization and IEP support with audiobooks, dyslexic font, enlarged text and Read-Alongs. Don’t miss this chance to get to know Sora! To meet the reading and learning needs of all students, schools need a diverse catalog of content and a platform built for personalization. Learn how to engage educators in your school to get students reading with ebooks and audiobooks. OverDrive Education supports personalization, ELLs, hi-lo literacy instruction, and blended learning in the K-12 classroom. More than 1.2 million Texas students in over 130 school districts benefit from OverDrive Education’s ebook and audiobook catalog. OverDrive Education and Sora support Texas’ Proclamation 2019, which calls for instructional materials to promote English language arts curriculum adoptions for grades K-8 across the state for the 2019-2020 school year. Schools can choose from a balanced and diverse digital catalog of supplemental and student choice reading titles for use in the Sora app on any device or computer. 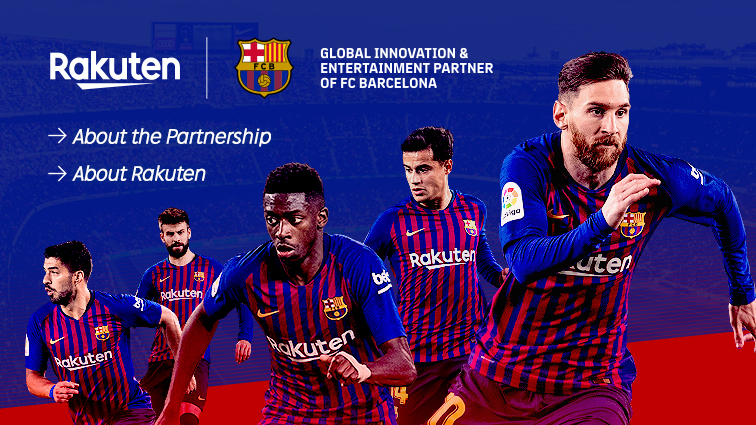 Stop by the booth for a preview and more details.